When residents of Riverside, California see a pothole, they aren’t limited to griping about the damage it will do to their cars. Instead, they can pull out their iPhones, take a picture of the street damage, and use Riverside’s Mobile 311 App to upload their report straight to a City Hall database. The problem often is fixed within a day, according to Steve Reneker, the “chief innovation officer” for Riverside city government. “You go out anywhere in the city with the iPhone, and you see any kind of problem—a code problem, a streetlight, a pothole—and the problem gets resolved,” said Fred Speer of Xerox, which helped the city develop the app as part of a broader array of digital services for Riverside officials and citizens. Riverside was ahead of the pack in embracing iPhone applications and other digital tools in municipal government. But the rest of the country is catching up: Local, state, and federal government agencies are increasingly using the iPhone and iPad to transform the way citizens and government relate to each other. New mobile apps are making it easier for citizens to get information, demand services, and hold officials accountable—and to do it on the fly. Like Riverside, the city of Huntsville, Texas provides a free iPhone app for residents. They can see agendas for city meetings, a schedule of other public events, and contact information for important city agencies. 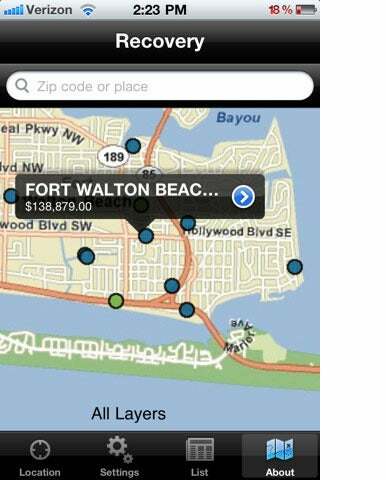 The app also lets users photograph and report problems to the city government. 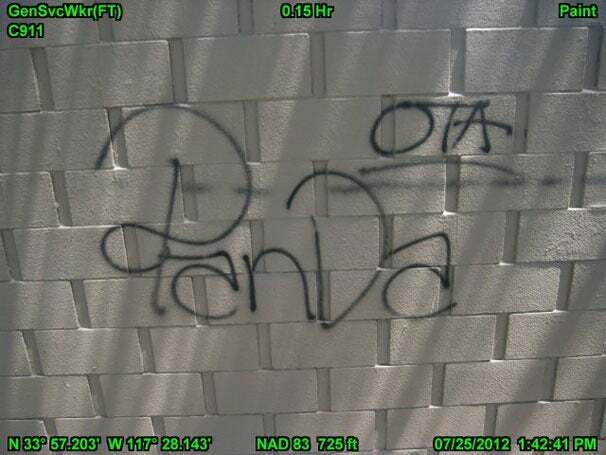 An iPhone app lets Riverside, California officials receive reports of graffiti—complete with geotagged photos that let them see where the problem is located. In Riverside, though, Reneker said it’s not enough to give citizens the power to more easily report problems: It has to be followed through with action. His city has hired a private firm that guarantees graffiti removal within 24 hours of a report. 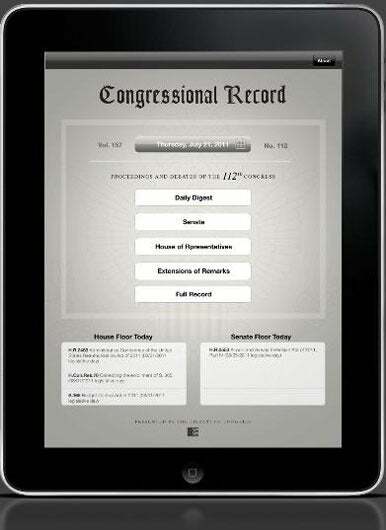 The Congressional Record app lets users search every word uttered in Congress going back to 1995. Sometimes, people simply want to know what their government is doing. The Government Accountability Office offers a free app to offer access to the agency’s reports, and The Congressional Record app—released earlier this year—furnishes iPhone and iPad users with an archive of every issue going back to 1995. The paper is published daily while Congress is in session, and features a record of all votes, speeches, and debates held on the floors of the House and Senate. That sounds like a lobbyist’s dream, but officials say the app is being used outside the Beltway, and offers taxpayers other advantages as well. Tracking government spending was the idea behind Recovery.gov, a federal website set up after President Obama and Congress passed the 2009 stimulus bill to try to revive the faltering economy. That information is available in an iPhone and iPad app, which let users see how money was spent in their community and Congressional district, and also allows them report examples of waste, fraud, or abuse. The Recovery.gov app shows users precisely where federal stimulus money has been spent, and lets them report abuse of government funds. In Philadelphia, City Controller Alan Butkovitz released the Philly Watchdog app in 2011 as a means of keeping that city’s notorious municipal government in line. The app lets users report—anonymously, if they choose—where City Hall has fallen down on the job, with options for reporting everything from unlicensed businesses to city employees using government vehicles for personal use. Brian Dries, a spokesman for Butkovitz, said the app had been downloaded 1,500 times and been the source of 220 fraud reports. “I think the functions of the iPhone can greatly impact the way that citizens have the ability to respond to and receive information from government agencies,” he said. 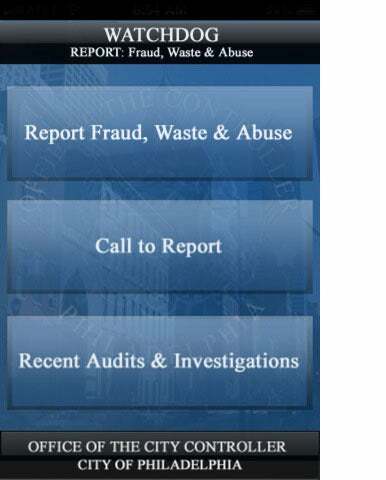 Philadelphia City Controller Alan Butkovitz helps residents report fraud and abuse via the Philly Watchdog app. It’s not just government agencies that can use iOS apps to keep government accountable, however. Over the summer, the New York and New Jersey branches of the American Civil Liberties Union both announced they were preparing apps to let iPhone users make recordings of police stops, a tool they say will help make the public case that officers overstep their legal boundaries—and may even provide evidence in civil rights lawsuits. Currently only Android apps are available from the New Jersey and New York branches of the ACLU; iOS apps are expected in September. “We wanted to be able to give New Yorkers something free and easy that they could carry at all times to document the problems we know are happening on the streets of NYC,” said Jennifer Carnig, a spokesperson for the ACLU’s New York branch. A smartphone, ACLU representatives said, is the perfect tools for doing that documentation—with the ability to record video, photos, and audio. It’s also a deterrent, they said, to police who might abuse their authority. Observers in and out of government say that iPhone and mobile apps will become increasingly prominent as a tool that connects citizens to their leaders. Future apps may contain more social elements and the ability to “crowdsource” solutions to problems. Joel Mathis is a political columnist and stay-at-home dad in Philadelphia.